I was first introduced to Pure Anada when producing the Winter 2014 beauty spread for Canadian Family. I researched about the Canadian cosmetic company and loved the fact their products were all natural and selection of skincare and nail polish lines were actually ah-mazing (which is why I featured them in the magazine). 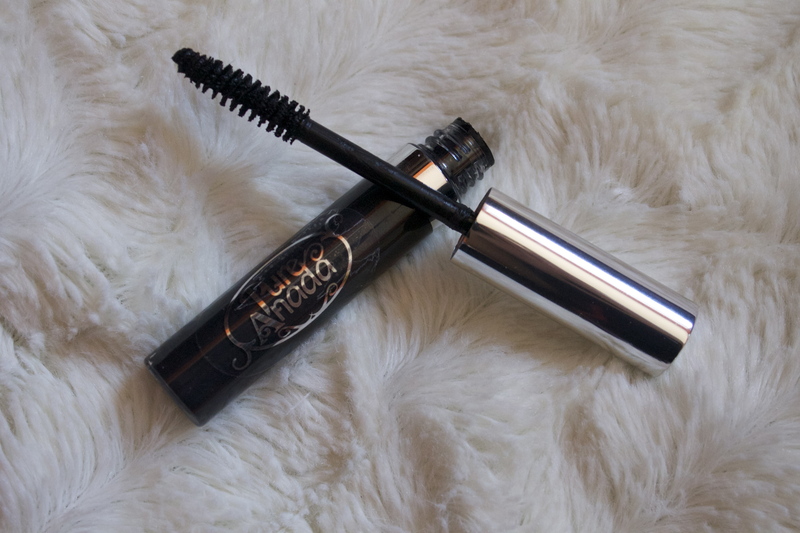 Pure Anada’s Natural Mascara ($14) is formulated to be PH balanced and not supposed to sting your retinas. I find a majority of mascaras burn my eyes if any amount of product get into them. It’s awkward explaining to people that the reason why my eyes are draining like faucets is because a little mascara got into my eye. Ugh, it’s the worst, especially since I have to take it off or re-apply with another product. Funny story, last weekend I drove my friend Katie and I to Target and while driving she was making me laugh obnoxiously (as per usual) and my eyes started to water. A whole bunch of mascara (was wearing Rimmel Lash Accelerator that day) got into my eyes and I couldn’t see while behind the wheel. My eyes were on fire! We got to the store in one piece, but I told myself that I NEED to find a product that won’t feel like my eyes are falling out. This mascara IS that mascara. All natural, volumizing and does not burn. FINALLY! I am also obsessed with Pure Anada’s pressed cheek colours. They’re silky in texture and will give a healthy looking glow that lasts for hours. Plus they smell like fruit AND are magnetic so you can easily take a compact ($5) on the go! Above are Sweet Pea ($12) and Bronzed Clove ($12). Not a huge fan of loose pigment eye-shadows in general but, the more I play with these, the more I get used to applying them. 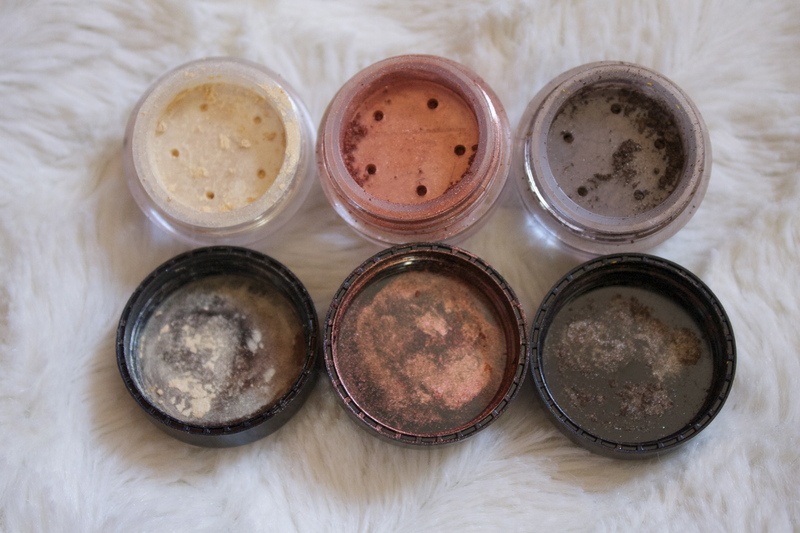 The colours are luminous and blend seamlessly together, just not a fan of the mess it leaves on my vanity since I tend to always spill the shadow on myself. Above are Gold Dust ($8) (a nice highlight colour I use almost every day), Copper ($8) and Java ($8). The lip gloss was nice. Not super long-lasting nor do I really like the “icy” look. 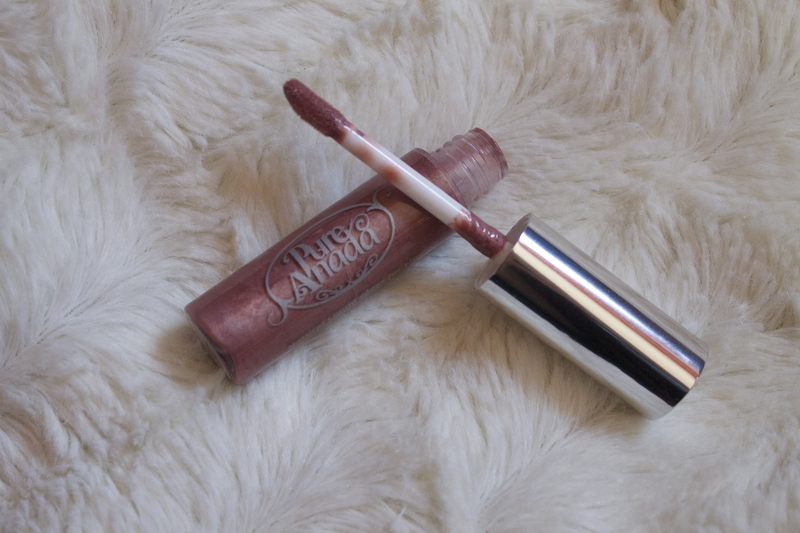 However, I do wear it over a natural shade of lipstick since it gives a nice shine and smells/tastes good. Above is Icy Pink ($12). Previous PostMY SUMMER GOALS 2014!